Although Unit 42 cannot provide a full picture of the details surrounding the delivery of these samples, we are confident this activity targets Korean language speakers who use Samsung devices. Based on this evidence we believe this new malware is likely targeting South Koreans. The newly discovered samples show new capabilities not previously documented. A strong relationship between previously identified malware samples attributed to these campaigns and the newly discovered samples examined in this report. At the center of the cluster of new malware samples is a PE (ed9e373a687e42a84252c2c01046824ed699b32add73dcf3569373ac929fd3b9) uploaded to VirusTotal with the filename “JAVAC.EXE”. The sample requires two command line parameters to run, the first is a port number which the binary binds to, acting as a webserver, and the second is also a port number which is used for encrypted protocol communications. 941cd0662cae55bc06727f1d658aba67f33442e63b03bebe012dad495e9e37dc Redirect all client requests to mboard_ok.css. 4694895d6cc30a336d125d20065de25246cc273ba8f55b5e56746fddaadb4d8a Three nested APKs which ultimately lead to a backdoor APK implant. This file is likely installed silently by visiting the next resource with an HTTP client. Further details on this APK follow below. cf3e9baaac7efcaff8a9864da9f12b4115ba3f148ae5cfc21f3c158f6182b792 Redirect all client requests to a URL which triggers a vulnerability in Samsung devices to install an APK. We have not been able to obtain copies of these resources. The ELF ARM file embedded in main.js is written to HTTP clients’ disks by the logic in main.js. Below is a table outlining indicators from this embedded ELF ARM. This ELF ARM file is one of three we identified. These ELF files are similar to PE files named Cruprox by Symantec, Manuscrypt by Kaspersky, and Clevore by Trend Micro. 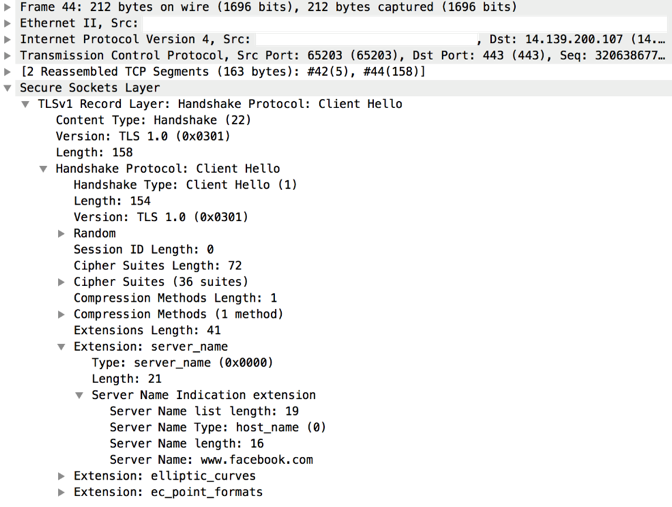 The ELF ARM samples contain lists of domains (used for deception) and IPv4 addresses (used for command and control). These domains and IPv4 addresses are used to generate crafted TLS sessions similarly to the “fake TLS” communication mechanisms in section 4.3.3.1 of the Operation Blockbuster report by Novetta. An example TLS “Client Hello” record generated by 0ff83f3b509c0ec7070d33dceb43cef4c529338487cd7e4c6efccf2a8fd7142d is given below. It includes a legitimate domain name in its SNI field yet is sent to a command and control IPv4 address. In addition to ELF ARM files the HTTP Server can also serve APK files. As previously stated, an APK with SHA256 4694895d6cc30a336d125d20065de25246cc273ba8f55b5e56746fddaadb4d8a is embedded as a resource in the HTTP PE server sample with a name of “umc.apk”. Umc.apk defines intent filters to receive events from the Android operating system when the APK is replaced (PACKAGE_REPLACED), when the device receives a text message (SMS_RECEIVED), and when the device is in use by a user (USER_PRESENT). Umc.apk installs an embedded APK with the SHA256 value of a984a5ac41446db9592345e547afe7fb0a3d85fcbbbdc46e16be1336f7a54041. A984a5ac41446db9592345e547afe7fb0a3d85fcbbbdc46e16be1336f7a54041 has a name of “install.apk”. The purpose of install.apk is to cleanup umc.apk and install a third APK with a SHA256 hash of 4607082448dd745af3261ebed97013060e58c1d3241d21ea050dcdf7794df416 and a name of “object.apk”. Object.apk is the final malicious payload. This APK ensures that it is running when the device is booted and provides backdoor capabilities to its controller. Below is an image of decompiled code from a main component of the backdoor. 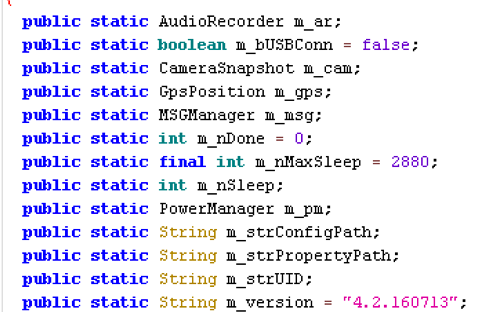 It shows the internal version number for this APK is “4.2.160713” it is unclear if this is an accurate representation of the number of iterations of development undertaken on this malware family, or if it is to give the APK an air of legitimacy. Following our analysis of the payload APK, we were able to locate an additional related APK. The APK with SHA256 hash value of 06cadaac0710ed1ef262e79c5cf12d8cd463b226d45d0014b2085432cdabb4f3 contains 800f9ffd063dd2526a4a43b7370a8b04fbb9ffeff9c578aa644c44947d367266, one of the ELF ARM files discussed in a table under the section titled, “Related ELF ARM Samples”. The purpose of 06cadaac0710ed1ef262e79c5cf12d8cd463b226d45d0014b2085432cdabb4f3 is to execute the ELF ARM file is contains. 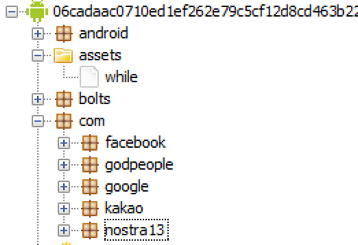 Below shows decompiled source code of the “com.godpeople.GPtong.ETC.SplashActivity” resource in the APK which contains the main functionality of the APK. 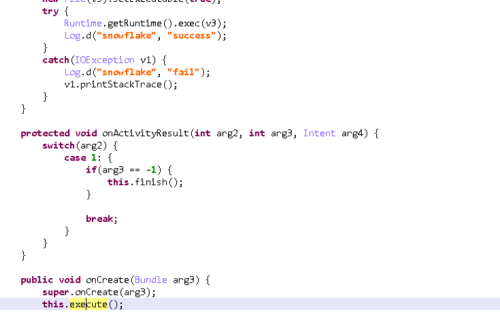 It executes the ELF ARM file named “while” and logs activity to the debug log named “snowflake”. When executing, both samples create the mutex “FwtSqmSession106839323_S-1-5-20” which has ties to Operation Blockbuster and the attacks on the SWIFT banking system. Once this overlap in indicators was identified, and manual investigation began, additional overlaps began to emerge. The PE server sample is not the only sample with ties to previously identified malware. Infrastructure reuse also exist between the IPv4 addresses embedded in ELF ARM files detailed in the previous section and previously identified malware. For example, 175.100.189.174 is embedded in 800f9ffd063dd2526a4a43b7370a8b04fbb9ffeff9c578aa644c44947d367266 and is also contacted by a606716355035d4a1ea0b15f3bee30aad41a2c32df28c2d468eafd18361d60d6, a documented Destover sample. These macros share the same logic as macros discussed by Unit42 in previous reports. It is clear that source code was reused between previously reported samples and the cluster of new samples outlined by Unit 42. Additionally, command and control IPv4 addresses were reused by the malware discussed in this analysis. Technical indicators as well as soft indicators, such as APK themes and names, provide soft and tenable ties to the actors behind Operation Blockbuster and the HiddenCobra group. Attribution is difficult to confidently achieve even with an in-depth technical knowledge and large pool of telemetry to hunt through. Without targeting and delivery information this report offers a partial perspective on this new activity targeting Korean speaking Samsung users. Palo Alto Networks customers can review this cluster of newly discovered malware by examining the GoingMobile AutoFocus tag. The post Operation Blockbuster Goes Mobile appeared first on Palo Alto Networks Blog.